omg how sad but true :( at least your vacation is justified you're streeeesed. 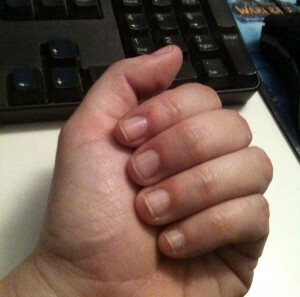 Nice, healed cuticles. A millimeter of fingernail growth. Too bad I have to go back today, hm? omg how sad but true 🙁 at least your vacation is justified you’re streeeesed.